The parents of Madeleine McCann said today a police review of her case was 'a huge step' in the effort to help trace the missing girl. A team of detectives in Portugal has been re-appointed to re-examine the original investigation into Madeleine’s disappearance, after she vanished while on a family holiday in the Algarve almost five years ago. It follows a review by Scotland Yard officers which began last May. Speaking ahead of a 10 kilometre run for a missing people’s charity in Regent’s Park, London, Gerry McCann said: 'We’re 10 months into the Met’s review process and it’s important for us. Madeleine was nearly four when she went missing from her family’s holiday flat in Praia da Luz, in the Algarve, in May 2007 as her parents Kate and Gerry dined with friends nearby. 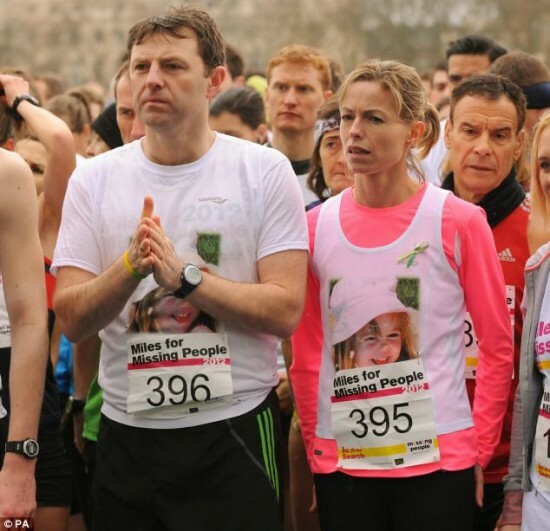 The McCanns were joined by hundreds of families and friends of other missing people for the charity run in Regent’s Park, including Peter Lawrence, father of missing York chef Claudia Lawrence, and Rachel Elias, sister of rock star Richey Edwards, rhythm guitarist and co-lyricist of the Manic Street Preachers. 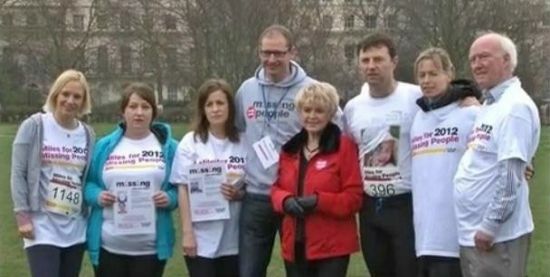 Almost 1,000 runners took part in this year's Miles for Missing People event. 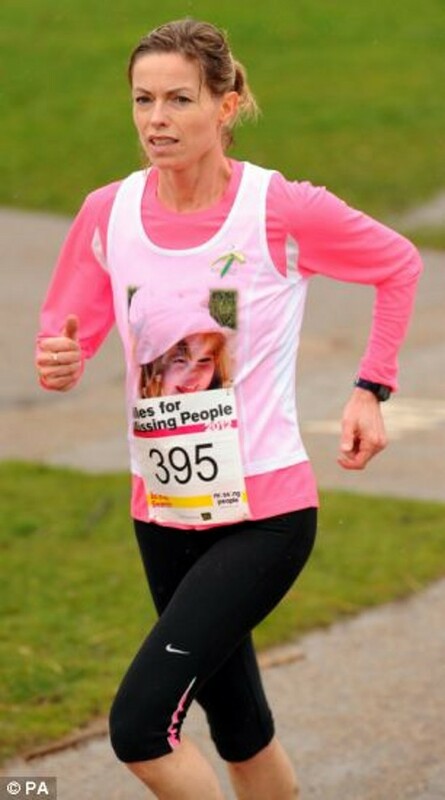 Organised by the charity Missing People, the 10km run aims to raise funds for its 24-hour lifeline which offers support to families of missing people across the UK. 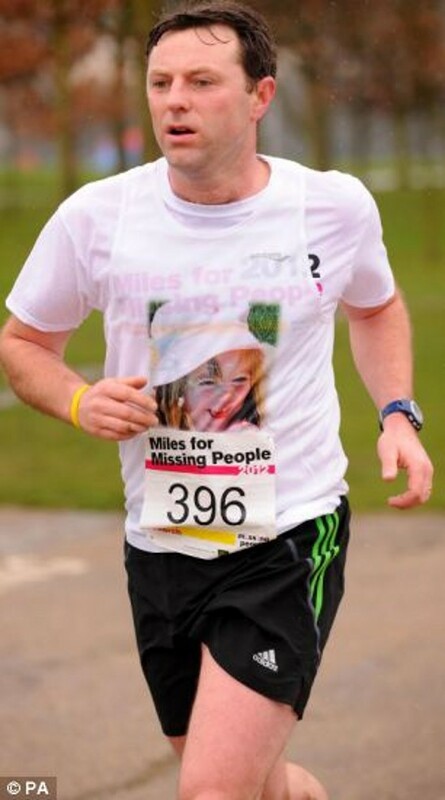 Mr Lawrence, whose daughter Claudia vanished in March 2009, said the Miles for Missing People provides 'tremendous support'. Miss Lawrence failed to arrive for her 6am shift at the University of York. Speaking ahead of the third anniversary of her disappearance, Mr Lawrence said: 'No day is good, especially this weekend, but meeting other families really does help.